Former National Service conscript - actor, Richard Wilson - takes a light-hearted look at life in the army. 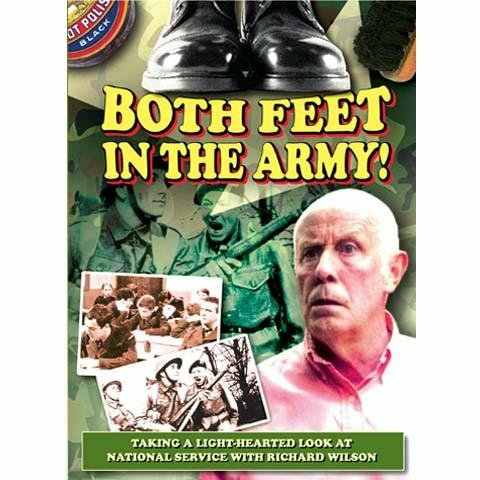 Former National Service conscript – actor, Richard Wilson – takes a light-hearted look life in the army as experienced by so many young men after the war. ‘Both Feet In The Army’ illustrates the trials and tribulations, the laughs and lunacies, of post-war National Service, though excerpts from sitcoms such as ‘Get Some In’ and from films such as ‘Carry On Sergeant’ and ‘Privates Progress’, to name but a few. This unique DVD manages to capture and recall those National Service years with exceptional clarity.